It wasn’t that long ago when offices were a rigid concept: frontline employees were placed in a communal bullpen with cubicles, management were given their own dwelling spaces, and the top execs were given corner offices with the best views. This traditional and hierarchical set-up has always been the norm, but in this technocraticera, fluidity and flexibility are steadily taking precedence. Activity-based working (ABW) was built on the concept of designing and creating workplaces that best suit the activity that’s done there. Rather than having individual space ownership, everyone shares the entire office. Cleo Vaughan, Associate Director (Project Management and Building) for Knight Frank said ABW has come about because business drivers have changed. According to Cleo, the advent of mobile technology has brought ABW to prominence as people are also becoming more mobile through global connection and communication. This means people need to work in the most efficient manner possible. “I think ABW has come about because business drivers have changed: there’s a lot more focus now on collaboration, flexibility, and innovation, so this working style suits that as well. Furthermore, ABW can bring about cost efficiencies. Where current office space isn’t utilised properly, ABW typically requires less space and therefore you can save on the cost of rent. "Finally, with offices designed for ABW, if your business changes in terms of contracting or expanding, you can change the workplace to suit that rather than having to spend money on churn costs. "While the benefits sound enticing, ABW is not for every business, and the costs can vary greatly depending on the organisation and the design of the fit-out. “There are cost savings to be made, but I think one of the common misconception is that it’s all about saving money; the actual fact is that to implement an ABW fit-out, you actually need to spend quite a bit more in the first place to make it possible. "You would expect to pay anywhere from 20 per cent more in the actual cost of the fit-out itself. 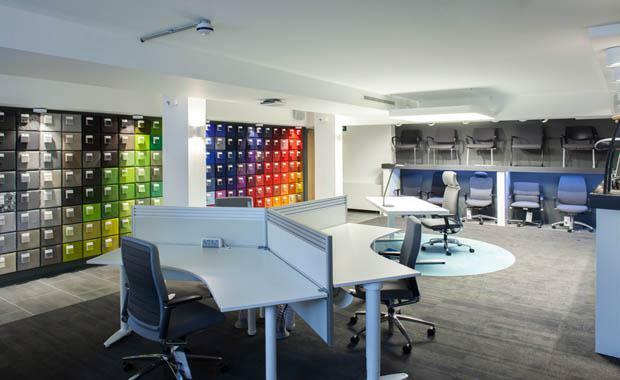 Because you’re building and designing additional types of space, you’d probably spend more on collaboration furniture, more on social community spaces like larger breakout bump spaces where staff can interact, and you need to put in things like lockers and adjustable workstations. "Mr Cleo says that in order for ABW to work, people would need to be mobile, working on laptops. "Depending on how advanced the company is in renewing its technology, it can be an enormous cost to try to change everybody onto laptops. You also need softphone wireless throughout the office. And another huge cost can be converting all your paper files onto electronic storage," Mr Cleo said. Cleo notes that most companies can benefit from ABW, but it’s vital that the solution is tailored to the business. Implementing ABW in your business can have multifaceted benefits, but it’s crucial you understand what your company hopes to achieve from it and that you work closely with your staff and designers to create a solution that suits your business and your people.